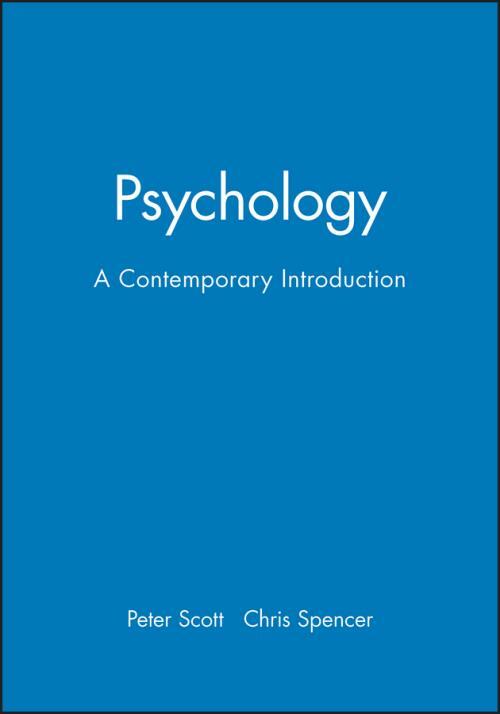 Psychology: A Contemporary Introduction is a comprehensive introductory textbook in psychology written specifically for the European undergraduate market. It is designed not only to reflect the development of the discipline but also to cover contemporary debates and future directions. This is a textbook which provides insight into the leading edge of psychological research. The book lays out the discipline in way that is inviting to the beginning student the first section on developmental psychology establishes a human and cognitive basis from which the rest of the book can be better understood by those studying psychology for the first time. Moreover, it enables the student to begin study with examples of psychology that will be of immediate interest. The text contains European data, cases and examples alongside traditional American material. Throughout the book, applications of psychology are discussed with specific final chapters on clinical and health psychology and psychology in the workplace. Psychology: A Contemporary Introduction provides comprehensive support for both instructor and student through pedagogical features designed with the needs of undergraduates in mind. Written by a team of leading researchers, it offers broad–ranging coverage whilst promoting a critical understanding of psychology as a dynamic discipline. 2. Infancy and Childhood: Mark Blades (University of Sheffield), Jill Boucher (University of Sheffield) and Peter Smith (Goldsmith′s College, London). 3. Adolescence and Adulthood: Peter Smith (Goldsmith′s College, London) and Helen Cowie (Roehampton Institute, London). 12. Social Group Processes – From the Dyad to the Small Group to the Crowd: Christopher Spencer (University of Sheffield). 14. Personality – the Individual and Society: Paschal Sheeran and Sheina Orbell (Both University of Sheffield).